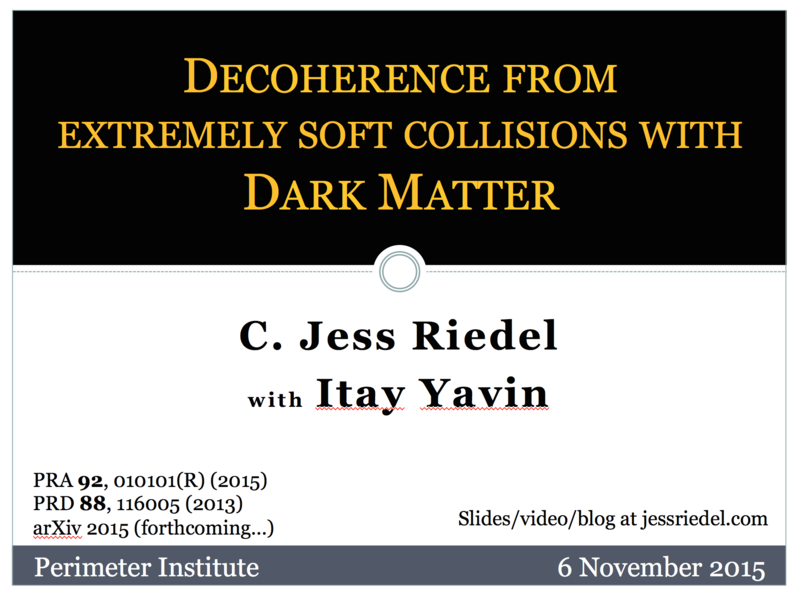 I gave a talk recently on Itay’s and my latests results for detecting dark matter through the decoherence it induces in matter interferometers. Quantum superpositions of matter are unusually sensitive to decoherence by tiny momentum transfers, in a way that can be made precise with a new diffusion standard quantum limit. Upcoming matter interferometers will produce unprecedented spatial superpositions of over a million nucleons. What sorts of dark matter scattering events could be seen in these experiments as anomalous decoherence? We show that it is extremely weak but medium range interaction between matter and dark matter that would be most visible, such as scattering through a Yukawa potential. 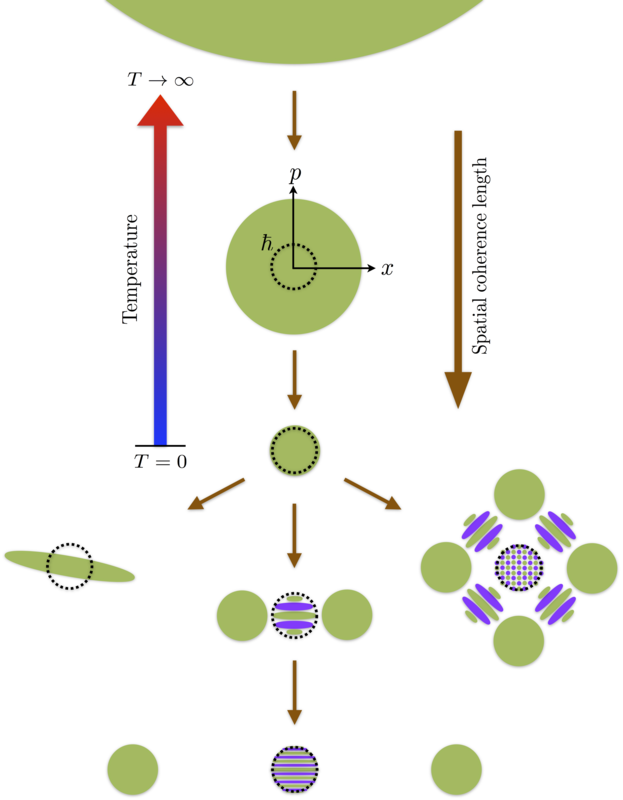 We construct toy models for these interactions, discuss existing constraints, and delineate the expected sensitivity of forthcoming experiments. In particular, the OTIMA interferometer developing at the University of Vienna will directly probe many orders of magnitude of parameter space, and the proposed MAQRO satellite experiment would be vastly more sensitive yet. This is a multidisciplinary talk that will be accessible to a non-specialized audience. Relevant paper on the diffusion SQL is here: arXiv:1504.03250. The main dark matter paper is still a work in progress.